Author Vernon Maddux, who wrote the article for Western Americana blog two weeks ago entitled, “Frontier Violence, Conspiracy and Indian Removal: the Dear Chum Letter,” presents another article, more moving and disturbing than the Dear Chum Letter on frontier violence and the fate of the Comanche. In 1858, the Texas Frontier seemed peaceful. The last serious trouble between the Texans and Comanches occurred in 1848 when the Comanches captured John McLennan, age nine. The young boy escaped, with the help of the Texas Rangers. Ten years latter, McLennan became a linguist for the rangers; he spoke several languages and knew most of the camping areas and customs of the Native tribes. In early 1858, the Texas Rangers scouted the far west side of the Bosque River. Joining them on their trip was the Penateka Comanche Indian Agent and legendary Texas Ranger, Shapley Prince Ross, who had helped rescue McLennan. Ross led 30 men. His scouts included whites, mixed Indians and Black Seminoles. The head agent, Major Robert S. Neighbors joined them to survey the Brazos River. 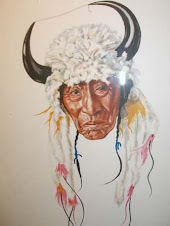 In northern Palo Pinto County, they discovered a large village of Caddoes, whose Chief Hadebar greeted them and told them he had lived at that place for 21 years. Up the river were several villages of Wichita and Tonkawa, who lived along the north bank of the Brazos. Eight miles further upriver was a large Waco village. The Rangers were satisfied this month of February, 1858, that all was calm on the Texas frontier. The peace and calm, however, ended on April 15, 1858. On that day four white men massacred James B. Cambren and his two sons, Luther and William, who were plowing a new field on their homestead bordering the Brazos River in the extreme northwest corner of Young County. The four men were led by a man named Willis, a "red-headed man” from Lampasas County; all were dressed in Native American attire. The men rode out of the woods along Cambren’s field and attacked Cambren and his two sons. One of the sons and Cambren were killed immediately. The other son ran for the house and made it to a fence before he was shot. The assailants then went to the Cambren cabin and captured Mrs. Cambren and her four children. The men dragged Mrs. Cambren and her son Tom to a hill about one mile from the house and tortured Mrs. Cambren until she ultimately died. And for sport tied her son Tom to a mule and watched as he flopped around on the animal’s back. Hearing the shots from the Cambren place a half mile away, Thomas Mason ran toward the sound of the shooting followed by his wife, Mary, who was Mrs. Cambren’s sister. Mason and his wife were killed as they approached the Cambren house, their bodies left in the dust. The next day Isaac Lynn, Mrs. Mason’s father, visited the Mason and Cambren cabins, where he found his daughter and her husband lying dead outside the house. Two Mason children, age three-years-old and sevens months-old, were found wandering among the bodies of their slain parents. 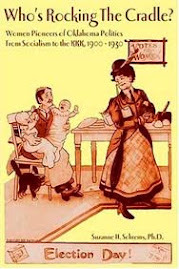 At the Cambren house three-year-old Mary Cambren answered the door and told Lynn how the white men had ransacked the house, evidently looking for money. The outlaws discovered the $1,000 that Cambren was saving to buy cattle. When word of the atrocities spread to Fort Belknap, Colonel Middleton Tate Johnson ordered Lt. Charles W. Phifer to take soldiers and track the murderers. But, there were few soldiers available; most had been sent to handle a situation in the new Utah Territory. In 1857, President James Buchanan appointed a governor for the newly formed Utah Territory. The appointment did not set well with Brigham Young, head of the Church of Latter-day Saints (Mormons), and his followers who settled in the Great Basin in 1844. The Mormons would not acknowledge Buchanan’s appointee. Consequently, Buchanan ordered the Army to march to Utah in a show of force against the Mormons. By so doing, the bulk of the 2nd U.S. Cavalry stationed across North Texas were withdrawn from their outposts and joined with the 1st Cavalry at Fort Leavenworth. In the summer, they rode north to join other regiments units in Kansas for the march against Utah in what historians call the “Mormon War.” This effectively stripped the Texas frontier of its protection. Camp Cooper, which guarded the Upper Brazos River Comanche Reservation and Fort Belknap, where several tribes were located, had a skeleton force of only a few soldiers to shield North Texas against Indian raids or more importantly, to protect the Comanches from white depredation. With few soldiers available, a posse had to be formed from the available townsmen. W.L. Lasater led the posse west in pursuit of the outlaws. They trailed four men down through Palo Pinto south to Croyell County where they had the good fortune to captured Willis, the “red-headed man.” At the subsequent trial, little Mary Cambren positively identified Willis as the looter of her father's house, but the jury refused to accept the child's testimony. On April 16, the men who had taken the little boy, Tom Cambren, ran into some immigrants on the road to Preston Bend on the Red River. Seeing the white men dressed as Indians, the immigrant train’s militiamen immediately rode out in pursuit. One white man threw young Tom off his horse and raced away to save himself. Unhurt, the militiamen took care of Tom Cambren and the train arrived at Fort Belknap on April 19. Despite the overwhelming evidence that it was white outlaws who committed the Mason-Cambren outrage, no one seemed to want to hear about it. Texas Governor Hardin Richard Runnells used the reports of “Indian” attacks on the frontier to fan the fires of racial anger. He ignored the reports that the atrocities were actually committed by white men. Instead, Runnells used the Cambren murders to justify the new Ranger battalion that the Texas legislature approved on January 27, 1858. Governor Runnells chose a long-time Texas Republican soldier, Major John Salmon “Rip” Ford to lead the new battalion of Rangers. (Ford’s nickname came from his habit of initialing “Rest In Peace” above his name when during the Mexican War he was required to sign the death reports of his soldiers.) Ford’s first action as battalion commander was to immediately travel to Fort Worth, Weatherford and Palo Pinto soliciting recruits and volunteers, who would join him at a temporary base called “Camp Runnells” near Fort Belknap. Ford was not a rabid hater of Indians, but he saw his duty as hunting down warriors and spurned any attempt to condemn whites as murderers. At his newly established Camp Runnells, Ford organized and trained his men, outfitting them from a $70, 000 state appropriations. This fund, which soon evaporated, seems excessive since most of his 100 recruits brought their own horses and weapons. There was also no expense for uniforms and they only had the most basic food requirements. Most of the men didn’t join the battalion for the pay, but they longed to participate on a raid deep into Indian Territory. Many in North Texas saw the Indian Territory to the north as an unfair haven for hated Comanche and wanted to destroy the Indian’s lair. Ford promised to the newspapers that he would catch the Comanche perpetrators of the most recent outrage against the families of settlers along the frontier even if they had to travel far to the north. 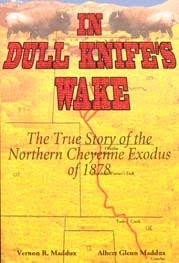 Governor Runnells’ orders to Ford were to locate and follow the trail of the hostiles who had been crossing the Red River to strike at the frontier. When he caught up with them, he was to “inflict the maximum punishment.” Runnells promised Ford political support and told him not to “book interference from any source” (meaning the United States Army, which had promised arrest to any white person caught trespassing in Indian Territory). Ford already knew exactly where he was headed. He had sent a spy north immediately after his appointment and that spy had returned with perfect intelligence on where the tribes were camped. Ford chose his officers well. Most were veterans of the Mexican War. Edward Burleson and “Billy” pits had served under Ben McCulloch during the Mexican War. Lieutenants Allison Nelson, James H. Tankersley, William Preston and William N. P. Marlin, and Captains Shapely Prince Ross, and Henry E. McCulloch, were old time Rangers and also veterans in fighting the Mexicans. Also, incorporated into the search for the Comanche was a troop of Tonkawa and Waco Indian scouts. 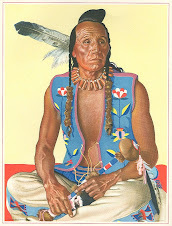 Ford had asked Ranger Shapley Prince Ross if his teenage son, Lawrence Sullivan “Sul” Ross, could organize and lead the troop of Indian scouts. Ross agreed. Lieutenant Sul Ross was 19 years old, but well experienced in leading his father’s men. The Tonkawa scouts moved out ahead and found evidence of recent Indian camps, especially along the Washita River. The Rangers made their way north up the watershed of the Washita on the evening of May 11. From a vantage point along on a rise on the old road that led from between Fort Smith (Arkansas) to Santa Fe (New Mexico), along the False Washita River, Ford and S. P. Ross could see in the distance Comanche hunters chasing buffalo in the valleys north of the road. Before dark, Ford and his men came into sight of the prominent bluffs called the Antelope Hills. Concerned that the Comanche were near enough to spot them, Ford ordered no fires built and cautioned the men to keep noise at a minimum. After dark scouts returned to camp and reported seeing a Comanche village on the north bank of the Canadian River just beyond the Hills. They were only a few miles away. Long before first light on May 12, Ford led the Rangers up around to the west of the Antelope Hills in two columns, with Sul Ross and the Indian scouts leading the way. The scouts surprised two warriors who were camped in tepees on the ridge near the base of the western-most bluff. The Comanche warriors leapt on their horses and raced toward the main camp, which by now Ford and the Rangers could see in the early morning light. Sul Ross and the Scouts bolted ahead, chasing the two warriors down the long approach to the river. Seeing the magnificent village across the river, Ford halted and deployed his men on line, giving strict orders for them to maintain formation as they advanced against the Comanche. The Rangers were deep in the heart of Indian Territory at least 220 miles from the frontier of Texas. The Comanche village was built on a broad and pretty green grass meadow in present Ellis County, Oklahoma. Fortunately for the Rangers, the fleeing warriors were in such a hurry to warn the village that they gave away the location of a shallow ford across the river. Ford signaled to Ross to cross and hold up on the far riverbank and wait for the rest of the Rangers to catch up and get in formation. As the Rangers reached the riverbank, they plunged into the river and maneuvered to cross the shallow ford together as a group. Screaming was heard in the village followed by warning drums. From the center of the village, an impressively mounted warrior dashed out toward the Texans. He was wearing full war paint and feathered regalia. He was, according to most eyewitness reports, magnificent in his appearance. He had otter-fur and eagle feathers on his war bonnet which flashed in the sun. He waved a long feathered lance and screamed great insults in Comanche at the approaching Texans. His chest gleamed from waist to chin with a coat of iron-linked mail. 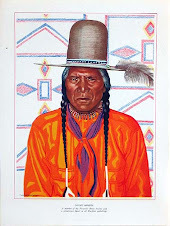 The Tonkawa yelled to each other that he was Pohebits Quasho, or “Iron Shirt.” The Rangers murmured to each other seeing the coat of Spanish armor. Most saw the mail coming from a Spanish nobleman killed in some long-forgotten battle on the Great Plains. It seems more likely that it was more recent, purchased from Comancheros. The Rangers moved in close formation on the north bank of the river just in front of the fearless chief. On command, the men pulled out their rifles and without compunction, aimed them directly at the brave who danced his horse in defiance of their looming presence. Ford gave the order to fire and the Rangers blasted the chief, knocking him and his horse to the ground, killing the horse. As Pohebits Quasho jumped to his feet, a second volley killed him. Led by Ford and Nelson, the Rangers put away their muskets, pulled pistols and raced into the heart of the village. A few warriors on foot who had rushed forward to support their chief faltered when they saw him fall. A few of them stood their ground and were overwhelmed and killed as the Texans raced their horses over them. Most warriors fled from the assault. Ford pulled up inside the village and watched the Rangers attacking in all directions. Individual men, women and children bolted from teepees and ran with great abandon toward the hills off to the north and west of the village. Rangers chased the warriors down, using pistols at close range to shoot any man who tried to fight. Reloading the muzzle-loading pistols was such a problem that the Rangers carried more than one fully loaded. Several carried more than two. A large number of warriors were killed running away, but one group of about a dozen warriors gathered to the west of the town. They managed to conduct a successful defensive action for their families. Delaying the Rangers for a few moments saved several groups of women and children. The effort cost the Comanche warriors their lives, however. None of them escaped. The running battle soon went beyond six miles in several directions with Ford directing his men here and there. They continued the chase into the afternoon. The Texans gave no quarter to the disorganized warriors. After seven hours, Ford saw that his men’s horses were worn out and ammunition was low. He ordered the men to reform near the village. The Rangers tallied 76 warriors killed and Ford counted 18 women and children captured. Later, in letters written to friends, Ford reported that he actually had captured more than 60 Comanche women and children. Historians speculate that Ford and the officers sold the uncounted women and children as slaves when they reached Camp Runnells. The Tonkawa scouts rounded up the village’s horse herd of at least 300 horses, which Ford split among the men. Robert Nickels and a Waco scout were dead, the latter lanced to death in a hand-to-hand fight. George W. Paschal, Jr. and two Tonkawa scouts were seriously wounded. Chief Placido and Jim Pockmark studied the remains of the camp and told Ford that it was Naomi and Tenaha Comanche they had defeated. The teepees, approximately 70-80 of them, had been erected on the northwest bank of the Canadian River near the mouth of Little Robe Creek. The site is a mile down river, southwest, from the mouth of Commission Creek, a major landmark in Ellis County today. That evening, the Rangers thoroughly looted and then burned the camp. The men picked up weapons and souvenirs and stripped the body of Iron Jacket of his armor and war bonnet. That night around campfires, the Rangers divided the chain mail by cutting it into small patches as souvenirs. Bob Cotter sent one of the scraps of the iron links in a letter to Governor Runnels describing the battle. 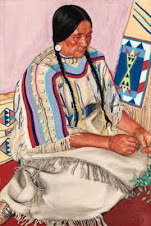 Over their campfires that night, a buzz went through the Ranger camp when they noticed that the Tonkawa scouts had cooked and were eating the hands and feet of some of the dead Comanche warriors. After a guarded night near the Antelope Hills, Ford led the Rangers back toward Camp Runnells. Runnells read Ford’s report to the Texas legislature proclaimed it to the newspapers, which made Ford a celebrated state hero. Rip Ford’s request to continue the mission was denied, however. Ford, the governor learned, had spent all authorized funds on the campaign. Mincing no words, Runnells ordered Ford to immediately disband the Rangers. Sources: Texas Historical Society, Austin: Ltr: Cotter to Runnels (no date); W. J. Hughes, Rebellious Ranger, Rip Ford and the Old Southwest, Norman: University of Oklahoma Press, 1964; Rupert Norvell Richardson, The Frontier of Northwest Texas 1846 to 1876, Glendale: Arthur H. Clark Company, 1963.